Are you enchanted with the Mesozoic Era? Is your favorite movie Jurassic Park? If this describes you, it’s time to visit Vernal, Utah. 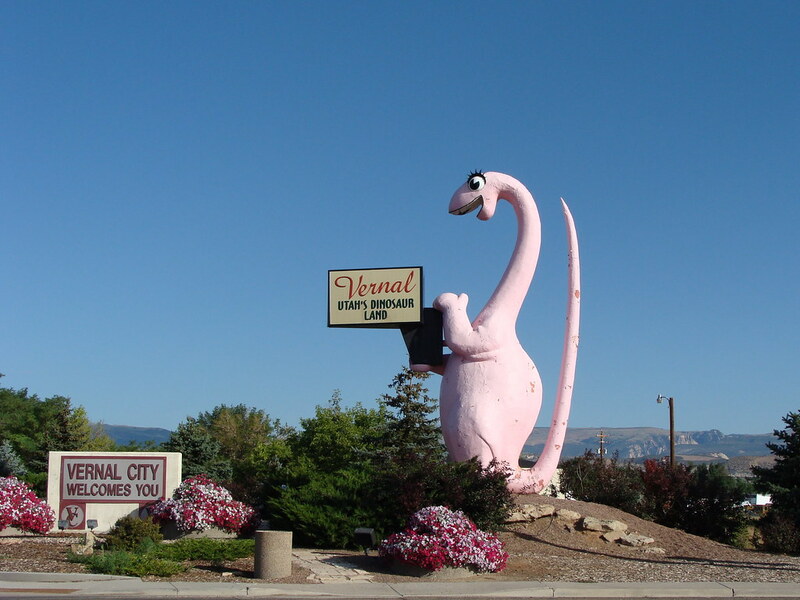 Known for dinosaurs, Vernal is your gateway to some of our nation’s best dinosaur attractions. With fun for all ages, it’s time to start planning your dyno-mite trip by renting a car from Allsave Car Rental Utah. We’ll get you started on a paleontology adventure for the whole family! Check out the exciting attractions at our 3 main dinosaur destinations! A treasure trove of fossils, Dinosaur National Monument is a prehistoric adventure of epic proportions! Open since 1948, the Natural History Park Museum houses decades of artifacts in its 22,000-square-foot facility. With artifacts from nearby dinosaur dig sites, check out local findings, and dig into this dinosaur lover’s dream! Amongst the incredible ancient artifacts are the incredible views and terrain of Red Fleet State Park. Hiking the Red Fleet Dinosaur Trackway Trail is a must to experience tridactyl footprint fossils embedded within the trail. Utah’s Dinosaurland is an incredible archive of historical artifacts of prehistoric times. Visitors are in awe of the history and artifacts dating back millions of years. This once-in-a-lifetime trip is every dinosaur lover’s dream! Vernal is the starting point for access to your next adventure. With the keys to a rental car, your roaring adventure is closer than ever! Call Allsave at (435) 990-5577 to reserve your rental car today.